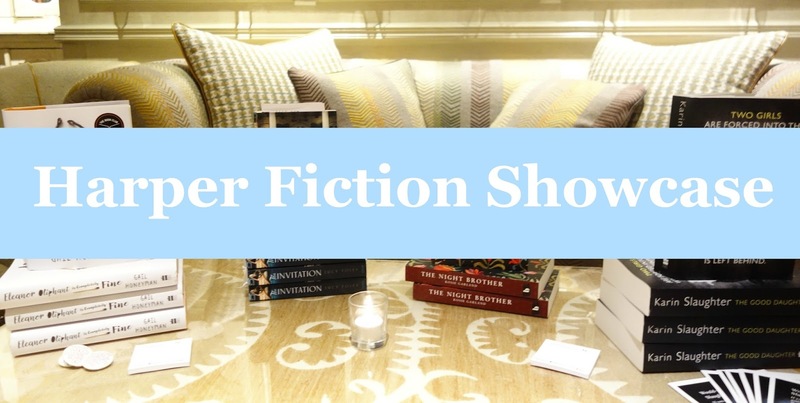 About a month ago I was delighted to be invited to the Harper Collins Fiction Showcase at the Soho Hotel in Soho London. Very fittingly this was in their Library area with gorgeous wall paper that looked like book shelves. I will talk through some of the brilliant books Harper Collins have got out this summer. I am sure quite a few of you have heard about Eleanor Oliphant is Completely Fine by Gail Honeyman. This is a book that I am desperate to read as I have heard nothing but praise for this book. This is about Eleanor who is completely fine thank you very much. She has exactly the same routine every day for work and then buys the same two bottles of vodka at the weekend. Nothing is missing from her life, except sometimes everything. One simple act of kindness shatters Eleanor's world and she has to find the courage to face those dark corners she has been avoiding all her life. Last Seen is the latest book by Lucy Clarke and I can still remember reading her debut The Sea Sisters four years ago. Last Seen sounds like it's going to be another gripping read. Seven years ago two boys went missing at sea and only one returned. On the anniversary of the accident, Sarah's surviving son disappears. Tensions rise and Sarah's mistrust grows for everyone at Sandbank. Someone saw something that fateful day, but they are determined to keep the truth buried. My Summer of Magic Moments by Caroline Roberts has such a pretty cover! Claire is ready for a bright new chapter. Winding her way to the coast for a cosy cottage retreat, she prays that three weeks of blissful peace and summer sunshine will wash away the pain of the last year. Her plan for peaceful solitude goes awry when handsome, brooding Ed turns up in the cottage next door. Will a little summer romance prove the worst distraction? Or might it be the perfect remedy? The Invitation by Lucy Foley caught my eye when it was out in hardback, so I am so happy to have a paperback copy. The Invitation is an epic love story that will transport you from the glamour of the Italian Riviera, to the darkness of war-torn Spain. Perfect for fans of Kate Morton and Victoria Hislop. The Night Brother by Rosie Garland has a very interesting cover. This is set in the 19th century where Gnome and Edie are like most siblings, they get on well when they are young, bicker when they get older, so much so that Edie tries to distance herself, but can you ever really distance yourself from someone who knows you so well. For a more lighthearted book there is The Once in the Blue Moon Guesthouse by Cressida McLaughlin. This looks like another perfect summer read. Robin Brennan has come home to Campion Bay and she’s set to become the new landlady of The Campion Bay Guesthouse. 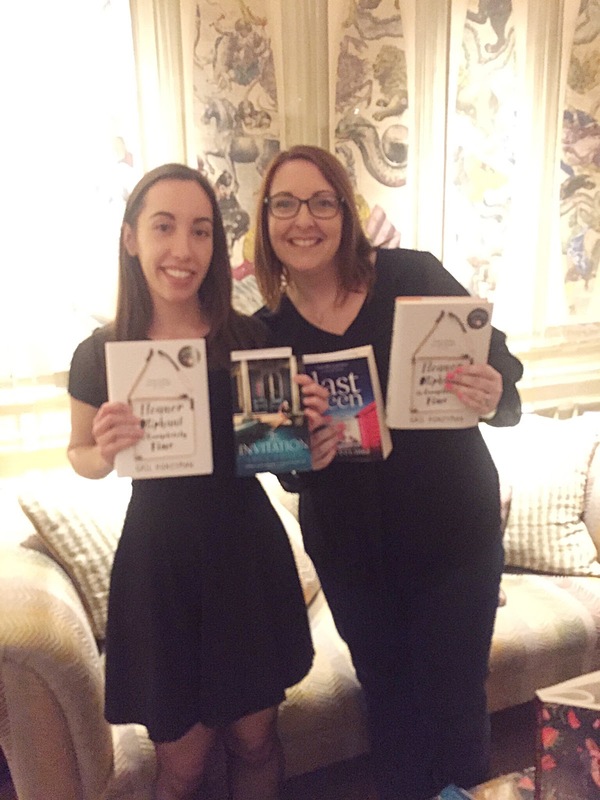 A huge thank you to the team at Harper Collins for inviting me to this wonderful event. I can't wait to read the books I picked up. Are there any that have taken your fancy?